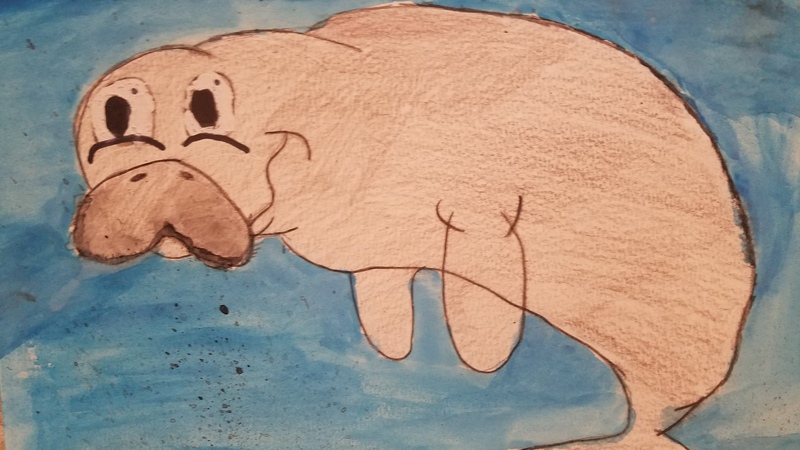 The Florida manatee has been on the endangered species list for as long as I can remember. The manatee, also known as the sea cow, is a gentle animal and would never hurt a creature. But the manatee is often hurt by people. 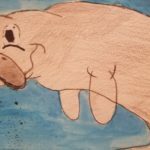 I wanted to show how gentle manatees are with my work, done with watercolor and colored pencil.